Forgiving and Excusing Others: How Do I Rate? If we’re serious about being followers of Jesus, then we have to be serious about forgiveness – of ourselves and others. Although we’ve just embarked on the journey of 2019, we haven’t quite finished a journey we commenced in 2018. 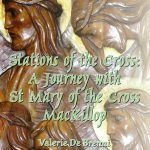 This time last year, we began a journey with Jesus, which continued monthly as we featured a reflection on one of the Stations of the Cross, with its connection to the life journey of St Mary of the Cross MacKillop, and, in turn, our own lives. This month, we reach the culmination of that journey. You are invited to be with Jesus at this 12th Station: Jesus dies on the Cross, pondering his utter selflessness, and also reflect on Mary MacKillop’s approach to suffering and ‘the Cross’, as both of their stories intersect with each of our own. 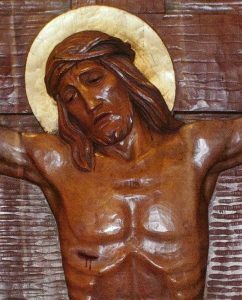 In his last moments of life Jesus asks God to forgive those who have so violently tortured him and unjustly condemned him to death on the cross. In this act of love Jesus reveals the true nature of the compassion of God. He invites all who would be a disciple to live out of this place of forgiveness and mercy. In the cross Jesus holds out the promise of a transformed way of living and being in a broken world. 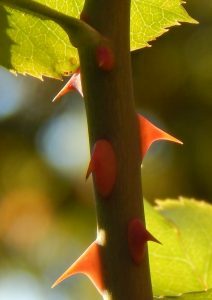 How readily do I forgive others? When have I built walls refusing to accept forgiveness? Take a moment to reflect in silence upon these aspects of your life. Sometimes forgiving another is easier than accepting forgiveness, at other times forgiveness of another seems out of the question. Forgiveness is to follow Jesus, to heal the broken body of humanity. Jesus you came to show us the way of forgiveness. Your cry on the cross echoed your constant forgiveness of others during your life. Remind me to let go of unrealistic expectations of others and of the desire that they be other than themselves. May I be willing to play my part in healing the brokenness of humanity through my own willingness to forgive others. Forgive me for the times when I lack compassion and close my heart to the needs of others. Through the movement of your Spirit within me give me the strength to forgive over and over again. Lead me along the path of peace-making and love. Station 12: Mary MacKillop Memorial Chapel, North Sydney. Used with permission. “Thorns” – Mary Ryan rsj. Used with permission.